Updates to Paul L.'s profile since your last visit are highlighted in yellow. NOTE: CORRECT NAME IS PAUL L. KEY (NOT KEY KEY) Career before retirement residential construction, college instructor. Hobbies include: Hiking, camping, travel, photography and primarily enjoying my Scottish heritage. 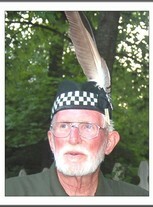 Past Chief Kennedy Society of North America. Consuming interest in dogs, particularly Labrador Retrievers. Particular friendships with Luzader sisters, Jan Ivar Koksvik. Paul L. Key Key has a birthday today. Paul L. Key Key posted a message. Paul L. Key Key posted a message. New comment added. Happy birthday from North Carolina. Hope you are enjoying your retirement. Mine is filled with a 24/7 retirement business. My wife and I make and sell Scottish tartan (wool plaids) into dog clothing which we sell at festivals all over the east coast. If our schedules permit, we hope to attend the class of 61 reunion this summer. Sorry missed your birthday, we were out of town. Will catch up later. Paul L. Key Key updated his profile. View. Paul L. Key Key changed his profile picture.